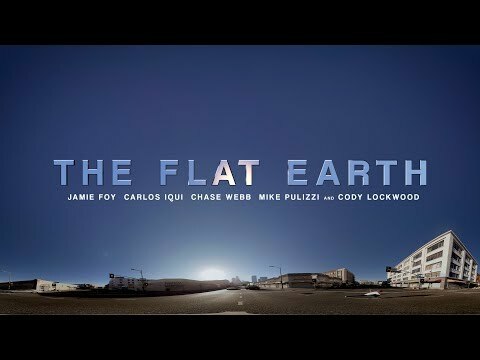 The world premiere of The Flat Earth featuring Jamie Foy, Chase Webb, Carlos Iqui, Mike Pulizzi and Cody Lockwood takes place in Los Angeles on Friday, December 8th. RSVP for your ticket right here, right now. The Flat Earth – An all new skateboarding film featuring Jamie Foy, Chase Webb, Carlos Iqui, Mike Pulizzi and Cody Lockwood. Directed by Ty Evans and produced by Ghost Digital Cinema. Ghost Digital Cinema and Ty Evans are proud to relate the trailer for their new skate film The Flat Earth. Featuring the rising and highly skilled talents of Jamie Foy, Chase Webb, Carlos Iqui, Michael Pulizzi and Cody Lockwood, this film was directed by Ty and covers a significant amount of flat earth and gritty skate spots. Available on iTunes December 2017. For over two years, Sean Malto has been working hard physically and mentally to get back on his skateboard, back to the professional level that he was at before a nasty ankle injury took him out in his hometown of Kansas City towards the end of 2013. Ty Evans and his Ghost Digital Cinema crew dig in to point and shine the light on Sean with a short documentary piece as he moves forward from a second surgery while being sidelined from the very thing that fuels his career and happiness – skateboarding. Unfortunately, injuries are part of the process and progression with skateboarding. We’ve all endured them and they can be brutal, but you get back up and push through the pain to ride another day. Have a look into Sean’s mindset as he takes on physical therapy and discusses his thoughts towards skating comfortably with his friends once again as a top professional street skater. Filmed entirely on the iPhone and made possible by Apple. As the world was finally able to sit down and take in the breathtakingly beautiful ‘We are Blood’ last week, Route One managed to score an exclusive Skype chat with the man behind the project; legendary film maker Ty Evans. In the first half of this two part interview Ty discusses leaving Girl to join Brain Farm, his decisions behind the structure of the vid and his penchant for cutting edge video technology. The official trailer for Ty Evans’ next skate film has arrived in the form of “We Are Blood.” This cinematic film features Paul Rodriguez and a hit list of top pro, am, and otherwise unknown skateboarders as they seek out the best hot spots all over the planet and push progressive skating though their common love and bond for skating. Produced by Mountain Dew Green Label Films in association with Brain Farm, We Are Blood will debut worldwide August 2015. Be sure to follow the We Are Blood website for more info and updates.